These three words are the motto of the 109th Airlift Wing –at Stratton Air National Guard Base in Scotia, New York – and though short, it is an accurate synopsis of the unit’s mission. 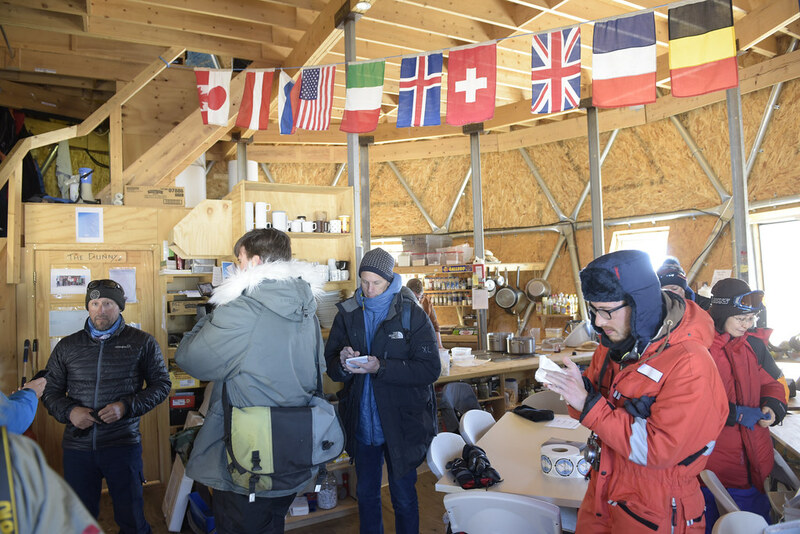 During the spring and summer months, the 109th AW operates out of Kangerlussuaq, Greenland, and flies scientific researchers with the National Science Foundation and their materiel to remote field camps across the Arctic Ice Cap. 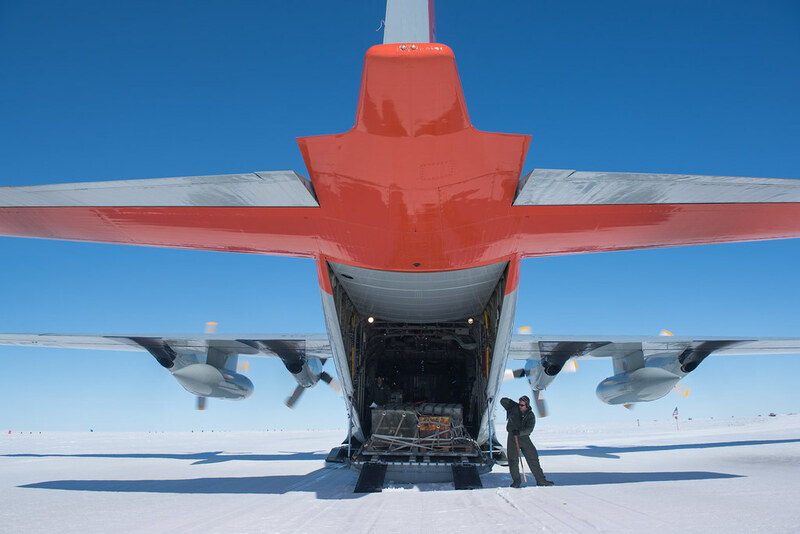 In the fall and winter months, the unit conducts similar missions out of McMurdo Station, Antarctica, as part of Operation Deep Freeze. 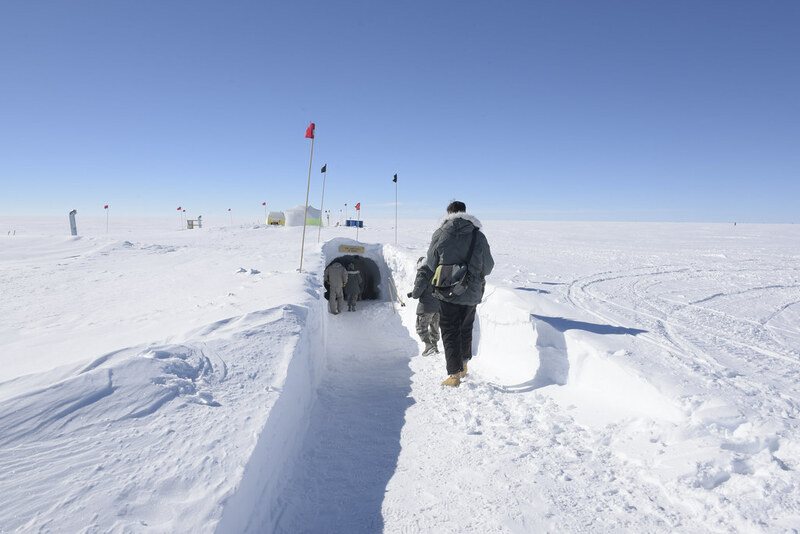 Visitors to the East Greenland Ice Core Project (GRIP) site enter a tunnel that takes them under the surface of the ice. 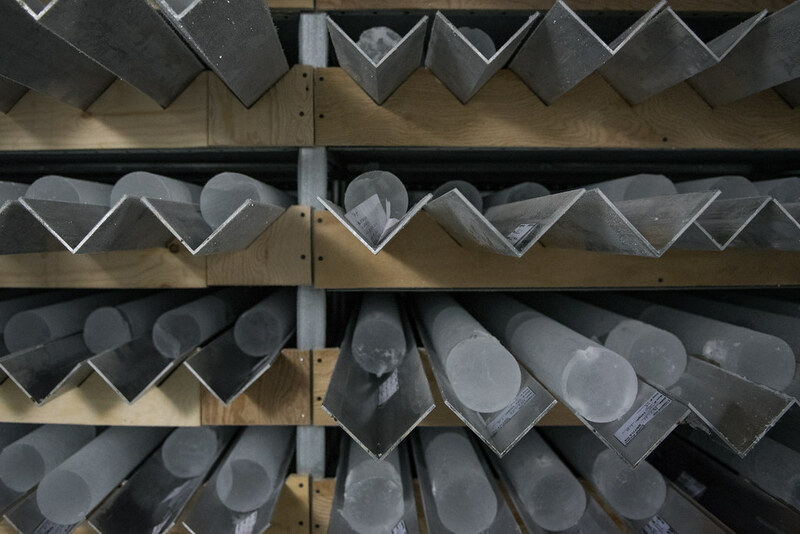 The tunnel houses a large drill and other tools researchers use to take ice cores from the ice shelf, which are then sent to various places around the world for study. Antarctica and Greenland are among the coldest, windiest and most inhospitable places on the globe and they provide a challenging opportunity to demonstrate the reach and flexibility of airpower, the capabilities of the joint force and the integrated support of active-duty, Guard and Reserve military personnel. 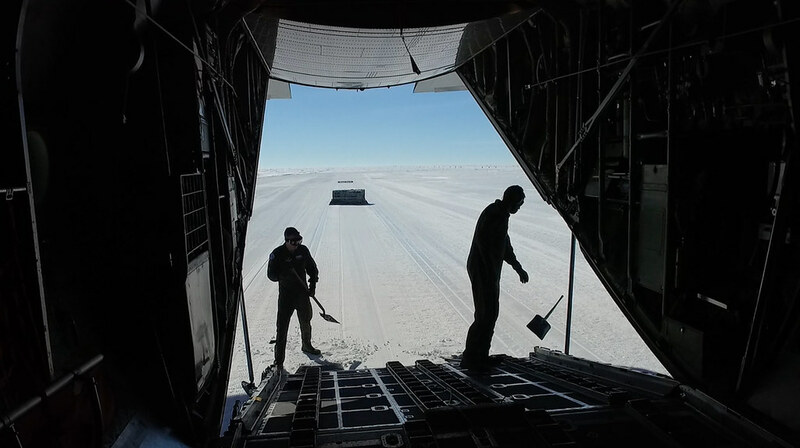 Each year, the 109th AW flies more than 800 hours during the Greenland support season and transports 2.1 million pounds of cargo, 49,000 pounds of fuel and nearly 2,000 passengers. 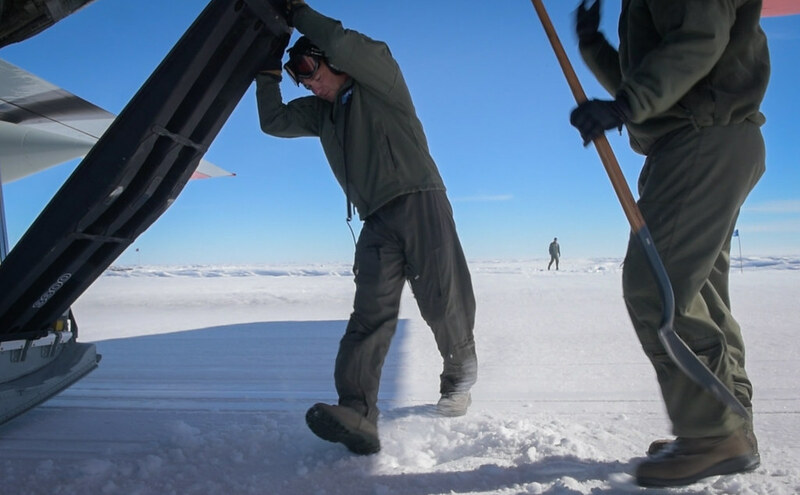 “If it got there, we brought it,” said Maj. Justin Garren, the wing’s chief of Greenland Operations. Airman 1st Class Ryan Rhoads, a loadmaster with the 139th Airlift Squadron, cleans up his gear after winching a pallet onto an LC-130 Hercules aircraft at Raven Camp, Greenland, July 30, 2017. 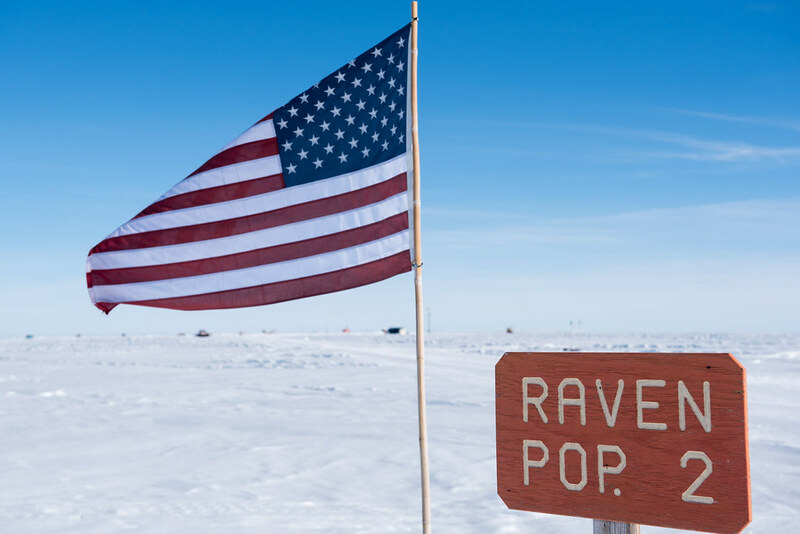 Raven Camp is used to train aircrews on LC-130 operations on snow runways. 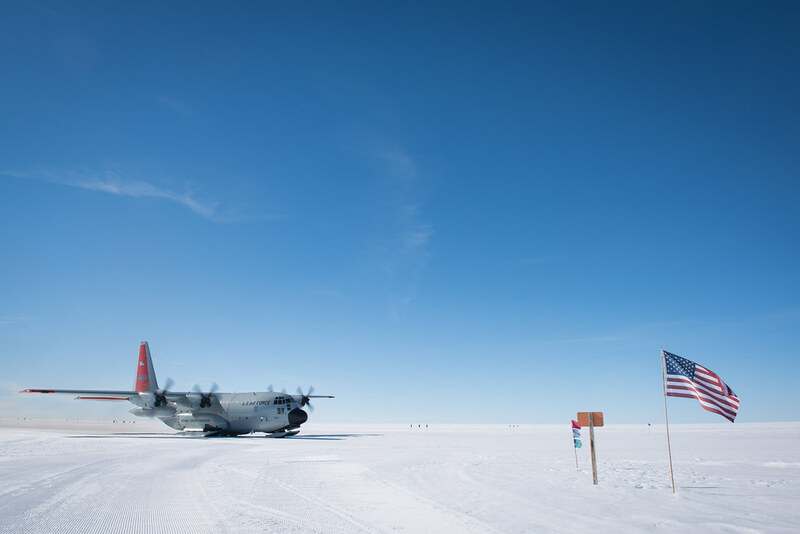 To accomplish this, the unit flies the world’s only ski-equipped LC-130s, called “skibirds,” which allows the planes to land on and take off from ice and compacted snow runways. “We do have some traditional “wheelbirds” in our unit, but the LC-130s give us the unique capability of being able to land in snowy arctic areas,” Garren said. While the LC-130s are able to operate without a traditional runway, the arctic environment does present challenges the crews must overcome long before the planes’ skis touch down on the ice. “Our biggest challenges are weather and navigation,” said Capt. Zach McCreary, a C-130 pilot with the 109th AW. Because most of Greenland is within the Arctic Circle near the North Pole and Antarctica surrounds the South Pole, there is a lot of magnetic interference when flying in these areas. This interference makes GPS navigation difficult, so the aircrews have to resort to old-school tactics. 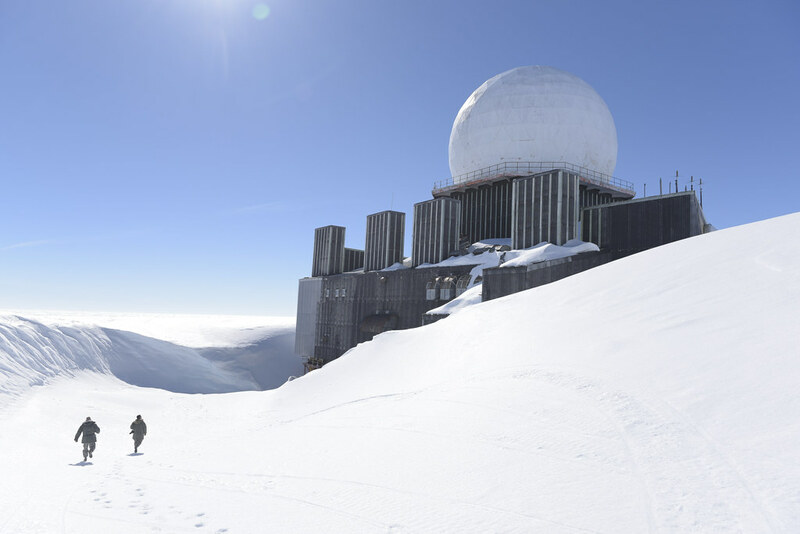 Airmen approach DYE-2, an abandoned radar site near Raven Camp that was one of 60 set up during the Cold War as part of an early-warning system that stretched across the far north of Alaska, Canada and Greenland. Weather is another challenge. It can change quickly and it can get nasty, so aircrews try to stay as up to date as possible when flying missions. In some cases, usually with cloud cover, this means landing with limited to no visibility. At times the land and sky blend together with no visible horizon line. In these situations, the aircrew uses a spotting technique where the copilot and loadmasters will look for flags lining the runway and help the pilot line up the aircraft during its approach. Because the 109th AW operates in such unique environments, utilizing dated techniques, effective training is only possible within the areas of operation. 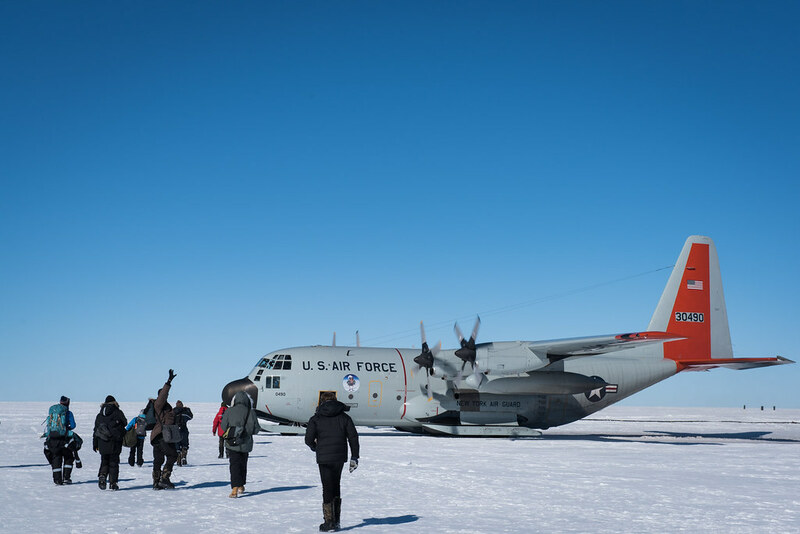 A ski-equipped LC-130 Hercules aircraft, with the 109th Airlift Wing, taxis to the skiway at Raven Camp, Greenland, July 30, 2017. The 109th's "skibirds" are the only ski-equipped aircraft in the Department of Defense. 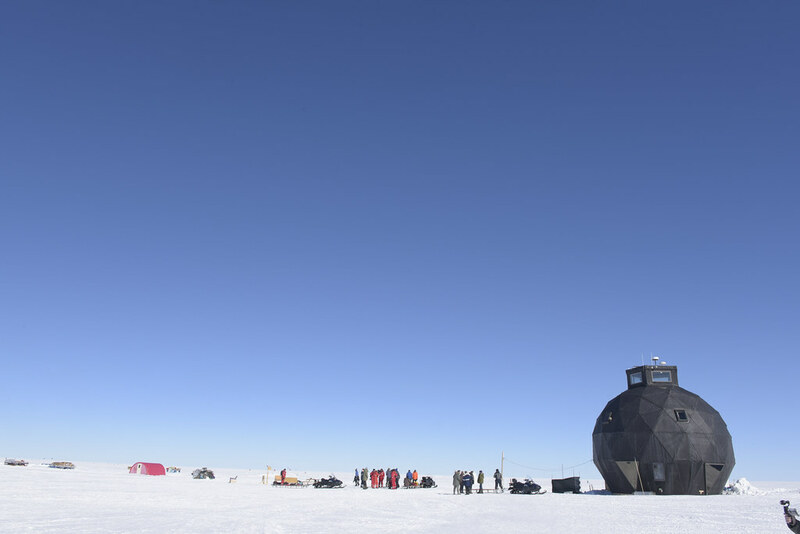 The uniqueness of the polar mission is one reason it was given to the 109th AW. Being a guard unit, its members stay in place longer and are able to train, develop and enhance their skills and experience without having to move or relocate every few years like their active duty counterparts.  Archived in Operational, Research & Technology and tagged arctic, C-130, C-130 Hercules, celestial navigation, Greenland, raven camp, skibirds. Bookmark the permalink.